Please join GPQ for a live Webinar with glass artist and teacher, Lisa Vogt on Tuesday, June 25, 2019 at 8:30 - 10:30 p.m. Eastern Time, 7:30 - 9:30 p.m. Central, 6:30 - 8:30 p.m. Mountain, and 5:30 - 7:30 p.m. Pacific. For our international customers, you may use the following Time Zone Converter. 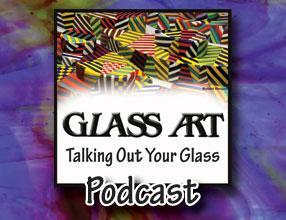 Ramp up the visual intricacy of your glass art! Clever glass fusers know that using strong line quality and bold color saturation in combination is an effective way to create stand-out works of art. Now take such trustworthy techniques and sprinkle in gradient blends and subtle shading achieved using frit. You’ll be amazed just how quickly your artwork advances to a new, exciting level of sophistication. 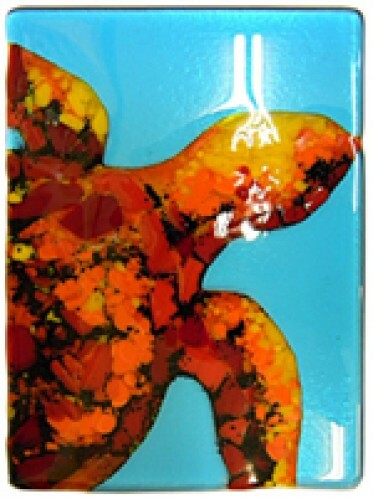 In this comprehensive webinar, Lisa will show you how to apply several methods she employs to add the striking, painterly-quality she’s developed to improve the impact of your glass fusing projects. Lisa is able to demonstrate SEVEN projects in this Webinar, from sea turtles to flowering trees to beach scenes and more! You’ll learn: how to evaluate a design to maximize the imagery, steps for successful fabrication and practical tips for building professional quality, finished pieces. Along with Lisa’s step-by-step instruction, you’ll also receive complete material lists and project-specific firing guides.